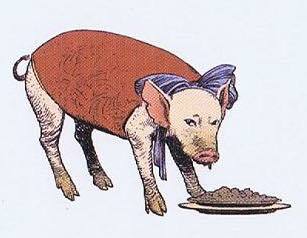 Ropsa is the pig that had its DNA altered by doctor Eric Wagner to become an organ donor for Valeria Rollini. Instead of organ donor it became best friends with Valeria 1). In 2017 eGenesis reported the birth of 37 PERV-free baby pigs in China, 15 of them still surviving 2). The black-and-white piglets are now several months old, and they belong to a breed of miniature pigs that will grow no bigger than 150 pounds—with organs just the right size for transplant into adult humans 3).